OMG | we make it happen …..and then SOME! A Shameless Plug bc I’m So Proud to be LAO! I started writing this while I was sitting on the plane ride home and I decided not to post it until today…This past weekend I accompanied my mother to DC for my lil cousin Hannah’s wedding. I was quickly reminded how amazing my mother’s side of the family is and where I get my hospitality skills from…. The moment we landed, my cousin Seng rolled out the red carpet. 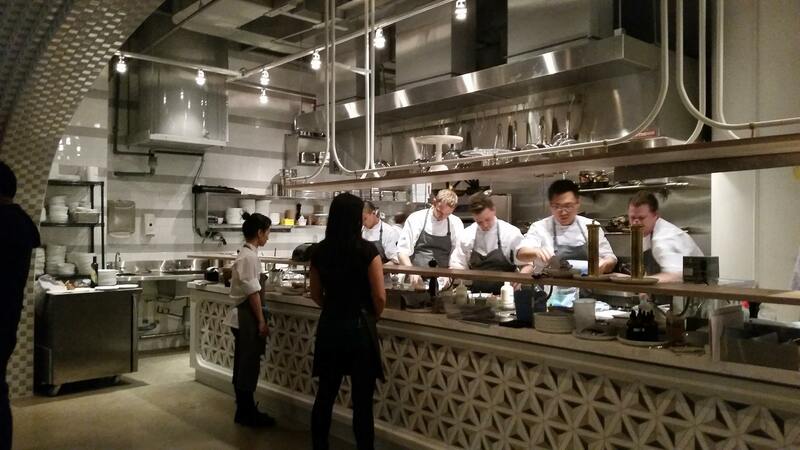 We saw DC/Va the way Seng sees it..everyday…you see…my cousin is a little famous…famous for her amazing restaurants. These aren’t just restaurants but she opened the VERY FIRST LAO restaurant in the DC area. We don’t have ANY in Toronto..
On Friday, we ate at Thip Khao. Her largest restaurant which has garnered tons of attention because the food is unlike most “thai” restaurants you go to..they’re not “americanized”. The food is made how “we” would eat it…stinky fish sauce and all! We ordered Pun Mieng which is a hand wrapped, make your own lettuce wrap that featured lemon grass, fresh herbs(picked from her own garden) that you would never think to put together! Enjoy Toronto’s most distinguished urban lifestyle at Annex Yorkville Connection, a new community of luxury condominiums and townhome residences that connects you with the life you’ve always wanted. AYC is ideally situated to offer some of the finest unobstructed views in the city. 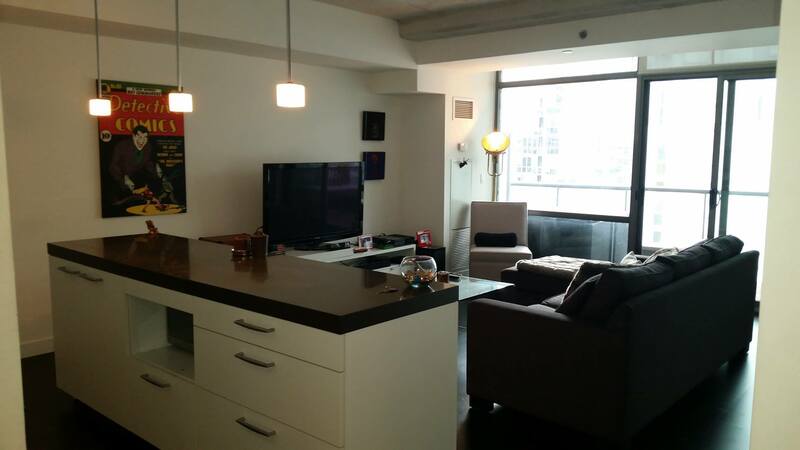 AYC Condo 2 Bedrooms+ den (834sq.ft) plus 2 Balconies. Great layout with no wasted space. 2 Balconies with ample sun in the afternoon on a high floor. Unobstructed view on 20th floor. One parking and one locker. A rare opportunity to live in the heart of London across from the peaceful St. Peter’s Seminary. This beautifully maintained home built on 3 lots offers over 3,000 square feet of luxury finishes with 4 bedrooms upstairs, featuring a master suite with custom built-in closets and claw tub. A gourmet kitchen updated with Jenn-air appliances, Carrara marble countertops and eat-in kitchen noon overlooking the manicured backyard and oversized salt water pool with outdoor change rooms complete with cabana and pool bar perfect for entertaining. The main floor living room is fully equipped with surround sound and a wood burning fireplace. Relax with a glass of wine in the sun room after a long day. When you are feeling restless, the basement boasts a billiard room and sauna for those spa inspired days. You never have to leave this oasis as there is a room for everyone. See the VIRTUAL TOUR HERE!! This is Vaughan’s Future – Get in before they are gone! WHY INVEST IN ICONA CONDOS? Please let us know if you any other questions. Thank you! Deal with Experienced PLATINUM/VIP Agents – We Represent You! In order for a purchaser to take full advantage of the Lowest Prices, Best Selection as well as Platinum Access Incentives & Promotions you need to buy before the public opening. Prior to opening day of a new condo to the general public, prices may have gone up by several thousand dollars and special Insider PLATINUM/VIP incentives are no longer available. The best time for you to invest in a unit at the lowest price possible is before it is open to the general public. By registering here today, you will have an opportunity to invest in a unit at Insider VIP First Platinum Access and at the Lowest Prices, guaranteed! We are independent Realtors with Sotheby’s International Realty Canada, Brokerage in Toronto. Our team specializes in pre-construction sales and through our developer relationships we have access to INSIDER SALES & TRUE UNIT ALLOCATION in advance of general Realtor and general public. If you are not currently working with a Realtor, we provide a personal consultation to ensure your purchase is a much smoother process. We will answer your concerns and questions, provide you with very important information about the Agreement of Purchase and Sale, your rights as a Buyer and assist you all the way to the closing and any after sale assistance. If this is your first time buying a pre-construction, there is a lot to know and you will definitely need some professional guidance. If you are an investor, speak to us first. You will get some great advice as to what to look for. We provide this service free of charge. As members of the Toronto Real Estate Board, our team also represents Buyers & Sellers of re-sale properties. Thank you, we look forward to assisting you with your Real Estate needs. The incentives are available to registered clients only and on pre-booked appointments only and not open to general realtors or general public. If you are currently working with a Realtor, please advise us and we will remove you from our database, as this service is not intended to solicit buyers represented by another Realtor. **Applicable to certain suites only, please see sales representative for more details. Figo gets a welcome review! Sebastian started his own blog and it’s all about FOOD! Here’s his blog about Figo, a new Charles Kabouth project. Move into the Thompson Hotel Residences! !